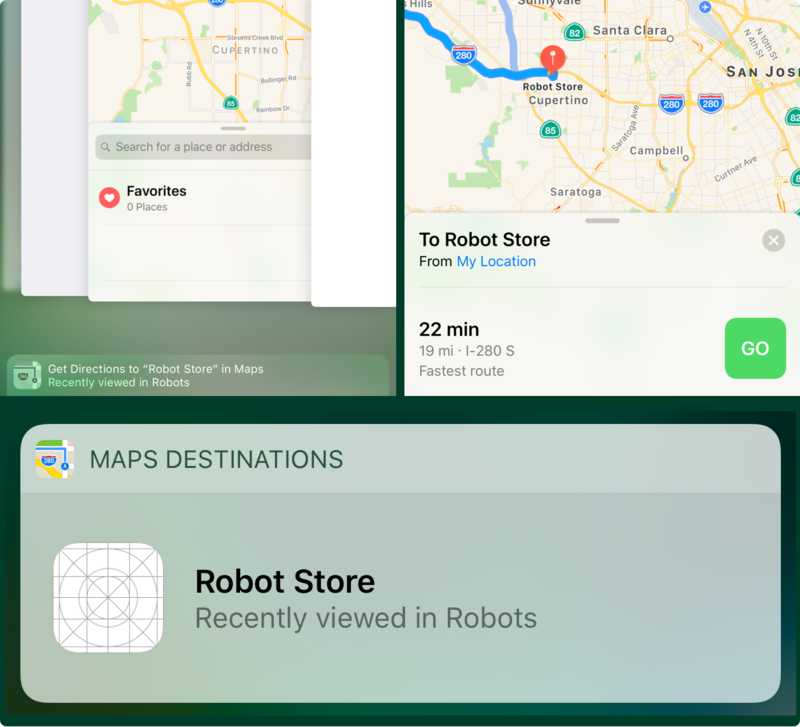 Let's imagine our app lets users view a list of Robot Stores. We'll start by re-using a technique we first learned about in Bite #47, MKLocalSearch. Next, we'll start an MKLocalSearch using our request, and load a bunch of mapItems representing Robot Store locations near us. If we were building a complete app, this is the part where we'd grab the response.mapItems from above, map their values into some business objects, then display them probably in UITableView, etc. For now, let's simply try out the new feature of NSUserActivity.